Amazing shot of Great Exuma Island, Bahamas from Space. 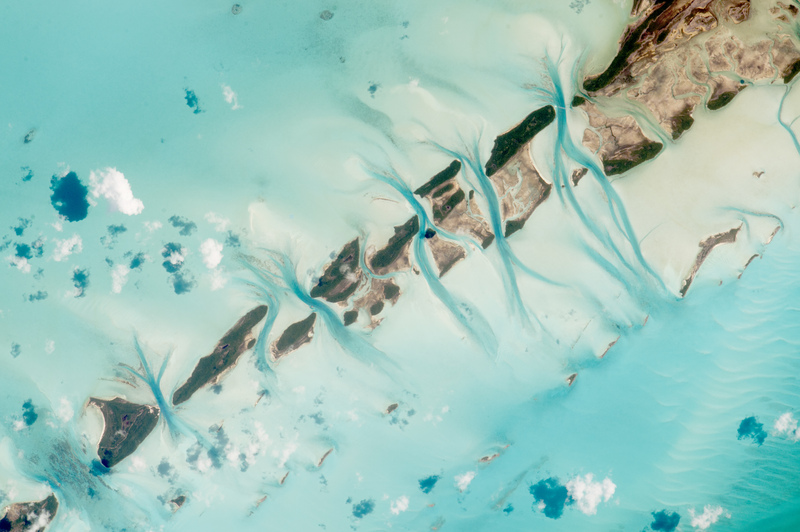 An astronaut aboard the International Space Station took this photograph of small island cays in the Bahamas and the prominent tidal channels cutting between them. For astronauts, this is one of the most recognizable points on the planet. 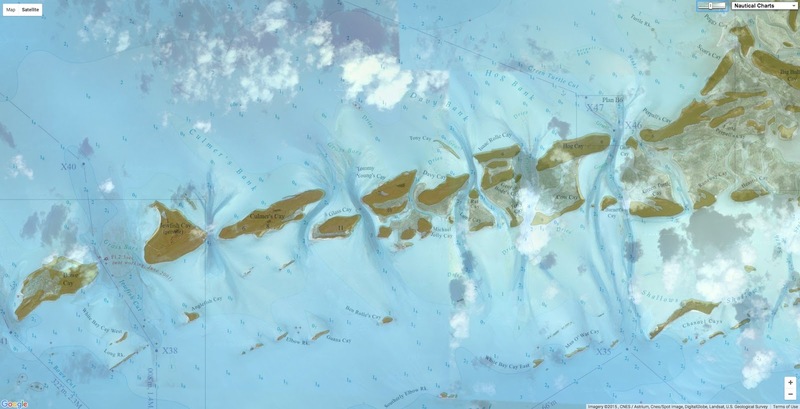 The string of cays—stretching 14.24 kilometers (8.9 miles) in this image—extends west from Great Exuma Island (just outside the image to the right). Exuma is known for being remote from the bigger islands of The Bahamas, and it is rich with privately owned cays and with real pirate history (including Captain Kidd). 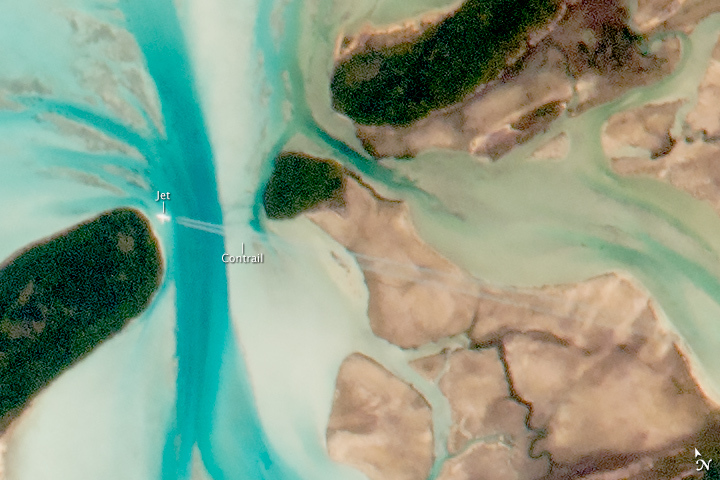 Small tidal changes on the banks cause great quantities of water to flow daily through the narrow channels between the cays, first in one direction and then the other. The darker blue sections are the deepest parts of the channels, where the water flow has cut through the rock ridge that makes the line of cays. The surrounding water is shallow (less than 25 meters, or 80 feet) and appears light blue. Today, Ocean Conservancy released a major report: Stemming the Tide-Land-based strategies for a plastic-free ocean. We think it's a big deal. It squarely addresses one of our biggest worries: the avalanche of plastic that cascades into the ocean every year. 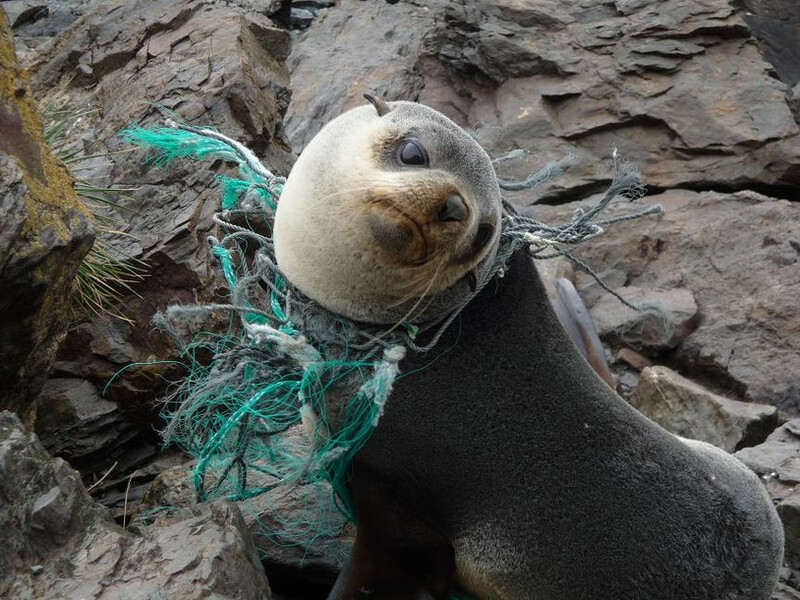 Practically every kind of animal, from plankton to whales, is now contaminated by plastic. It's in the birds, in the turtles, in the fish. 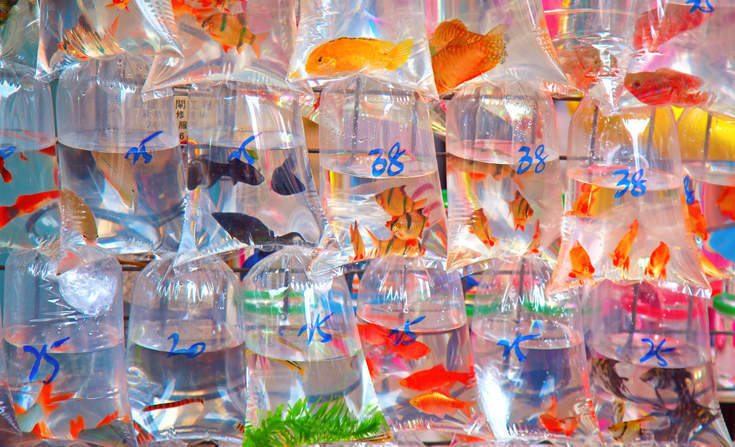 At the current rate, we could have 1 ton of plastics for every 3 tons of fish by 2015. It's not the plan of the plastics industry, it's not the plan of the consumer goods industry and it's certainly not the plan for those of us who love and need the ocean. The problem is born on land. Most of the plastic originates in rapidly industrializing countries whose waste management infrastructure is lagging behind. This is a typical phase of development that all countries go through. The problem is simply that the enormous utility of plastic, combined with the explosive economic growth of Asia and Africa, combine to yield an enormous flow of unmanaged plastic waste into the ocean. The majority of plastic waste ending up in dumps and in waterways is composed of thin films used in grocery bags and food packaging. This type of material is very low value after it is discarded and there is little economic incentive to pick it up. Blown or washed into the ocean, it breaks apart, and becomes the "microplastic" that is so easily mistaken by animals for tasty zooplankton. These microplastics are ubiquitous, found everywhere from the equator to the poles, and it is a real and rapidly growing problem. By comparison, the famous ocean gyres, or "garbage patches", which are considered to be the most concentrated areas of plastic in the ocean, contain only a small percentage (< 3 percent) of all plastics entering the ocean. We are fortunate, in a sense, that the plastic flow into the ocean is quite concentrated. Only five Asian countries account for the majority of the flow. Within these countries, there are a limited number of cities, rivers and watershed that really matter. We know where we need to go. A "fish market" in Hong Kong. Most plastic pollution in the ocean originates from five Asian nations. In developing regions, the most troublesome plastic waste tends to be in the form of low-value bags and thin films. In these places, we need to first concentrate on the basics: the safe collection, transportation and storage of plastic waste. By optimizing the waste hauling system, increasing collection rates to 80 percent and advancing waste treatment and conversion technologies in these five countries alone, we could cut the flow of plastic into the ocean by 45% by 2025. Stemming the Tide lays out in detail how the various elements of the solution have to come together, what they cost and who needs to be involved. This is clearly a solvable problem, but it will require the cooperation of many groups: industry, cities, national governments, multi-lateral organizations, banks, NGOs. Together, we need to create the conditions that make it possible for investors and entrepreneurs to invest in integrated waste management solutions. This is a classic example of a global problem with local solutions. The good news is that the global community is becoming very concerned about the ocean plastic problem. We can concentrate global expertise and resources on local problems, greatly accelerating the rate at which the fundamental waste management infrastructure is built. Ocean Conservancy created the Trash Free Seas Alliance® (Alliance) specifically to focus these global resources on the right local problems. It consists of NGOs, corporations and scientists that have come together to create pragmatic, real-world solutions focused on the measurable reduction of ocean plastics. Stemming the Tide is a signature initiative of the Alliance with support from the American Chemistry Council, The Coca-Cola Company, the Dow Chemical Company, REDISA and WWF, and was advised by a broad set of experts from the industrial, finance and waste management realms. For the Alliance, this report is only the end of the beginning: it is the start of a global effort to turbo-charge the development of ocean-smart waste management infrastructure in the places that really matter. BBC : Plastic oceans: What do we know? from Nathaniel Bowditch, the founder of modern maritime navigation. Nathaniel Bowditch’s “The American Practical Navigator,” often simply called “Bowditch” and regarded by mariners as the premier navigational reference, is due for an update, and the National Geospatial-Intelligence Agency wants input from mariners the world over. The first edition of “The American Practical Navigator” was a revision of “The New Practical Navigator,” the most popular navigational text of the 1700s. Bowditch, a famous mariner and mathematician, worked with other experts of that era to revise and update the original publication and published it in 1802. The U.S. Naval Observatory copy of the first edition "Bowditch" has the imprint "Printed at Newburyport, (Mass.) 1802, by Edmund M. Blunt, (Proprietor) For Brown & Stansbury, New York." The manuscript signature of the original owner appears to be James "Horvey"or "Horry". On the leaf facing the back cover, it has in manuscript "Bought by James Ho--- New York July 12th AD, 1804". On the verso of this leaf in manuscript is "Sailed from New York for Spain June 1805." A more recent bookplate in the front of the book states "Navigation Library of George W. Mixter". George Webber Mixter (1876-1947) wrote several books on navigation including "Primer of Navigation" which was published in several editions. There is no record of when this book first came to the Naval Observatory Library. The Library owns most of the later editions of Bowditch up to the present time. Bowditch (1773-1838) was still alive when the U. S. Navy's Depot of Charts and Instruments, forerunner of the U. S. Naval Observatory, was founded in 1830. NGA and its predecessor organizations have been responsible for reviewing the publication and ensuring it meets the demands of the modern mariner since the 19th century. The U.S. government purchased the rights to the book in 1867 for $25,000. The U.S. Navy Hydrographic Office, an NGA predecessor, assumed responsibility for updating the publication in 1868, and it has been regularly updated ever since. Now in its ninth edition, the publication is freely available for download from NGA. To keep pace with the rapidly changing world of navigation, each edition has included revisions to dated material, addition or deletion of new and antiquated methods, corrections to current publications, and further updates to maritime fundamentals, piloting, electronic navigation, electronic and celestial navigation, navigational mathematics, and navigational safety measures. Some past updates have included deleting obsolete LORAN information and adding bottom contour navigation and digital nautical charting techniques. Collecting and publishing the most updated techniques, information, methods and data ensures “The American Practical Navigator” remains the reference resource for modern, practical marine navigation. "For the past two centuries, Bowditch has provided each new generation of sailors the theory and science behind the art of modern marine navigation,” said Gerard Clifford, NGA Maritime Safety Office. The deadline for users to insure their comments and feedback are considered for the new edition is June 30, 2016. The next edition of Bowditch is expected to be published and released by NGA in 2017. To submit contributions and feedback for the next edition of Bowditch, please visit the NGA Bowditch survey website, download the survey files, and send an email to Bowditch2017@nga.mil. Contributions may also be emailed directly to Bowditch2017@nga.mil. It is, for our home planet, an extremely warm year. Indeed, last week we learned from the National Oceanic and Atmospheric Administration that the first eight months of 2015 were the hottest such stretch yet recorded for the globe’s surface land and oceans, based on temperature records going back to 1880. It’s just the latest evidence that we are, indeed, on course for a record-breaking warm year in 2015. First of all, it’s no error. I checked with Deke Arndt, chief of the climate monitoring branch at NOAA’s National Centers for Environmental Information, who confirmed what the map above suggests — some parts of the North Atlantic Ocean saw record cold in the past eight months. For the grid boxes in darkest blue, they had their coldest Jan-Aug on record, and in order for a grid box to be “eligible” for that map, it needs at least 80 years of Jan-Aug values on the record. Those grid boxes encompass the region from “20W to 40W and from 55N to 60N,” Arndt explained. And there’s not much reason to doubt the measurements — the region is very well sampled. “It’s pretty densely populated by buoys, and at least parts of that region are really active shipping lanes, so there’s quite a lot of observations in the area,” Arndt said. Thus, the record seems to be a meaningful one — and there is a much larger surrounding area that, although not absolutely the coldest it has been on record, is also unusually cold. At this point, it’s time to ask what the heck is going on here. And while there may not yet be any scientific consensus on the matter, at least some scientists suspect that the cooling seen in these maps is no fluke but, rather, part of a process that has been long feared by climate researchers — the slowing of Atlantic Ocean circulation. In March, several top climate scientists, including Stefan Rahmstorf of the Potsdam Institute for Climate Impact Research and Michael Mann of Penn State, published a paper in Nature Climate Change suggesting that the gigantic ocean current known as the Atlantic Meridional Overturning Circulation, or AMOC, is weakening. It’s sometimes confused with the “Gulf Stream,” but, in fact, that’s just a southern branch of it. The current is driven by differences in the temperature and salinity of ocean water (for a more thorough explanation, see here). In essence, cold salty water in the North Atlantic sinks because it is more dense, and warmer water from farther south moves northward to take its place, carrying tremendous heat energy along the way. But a large injection of cold, fresh water can, theoretically, mess it all up — preventing the sinking that would otherwise occur and, thus, weakening the circulation. In the Nature Climate Change paper, the researchers suggested that this source of freshwater is the melting of Greenland, which is now losing more than a hundred billion tons of ice each year. except for this area near Greenland. I was formerly somewhat skeptical about the notion that the ocean “conveyor belt” circulation pattern could weaken abruptly in response to global warming. Yet this now appears to be underway, as we showed in a recent article, and as we now appear to be witnessing before our very eyes in the form of an anomalous blob of cold water in the sup-polar North Atlantic. The fact that a record-hot planet Earth coincides with a record-cold northern Atlantic is quite stunning. There is strong evidence — not just from our study — that this is a consequence of the long-term decline of the Gulf Stream System, i.e. the Atlantic ocean’s overturning circulation AMOC, in response to global warming. I also asked Rahmstorf whether, if his thinking is right, we should expect this cold patch to become a permanent feature of temperature maps, even as the world continues to warm. The short term variations will at some point also go the other way again, so I don’t expect the subpolar Atlantic to remain at record cold permanently. But I do expect the AMOC to decline further in the coming decades. The accelerated melting of the Greenland ice sheet will continue to contribute to this decline by diluting the ocean waters. Granted, it’s not clear that all climate scientists agree with this interpretation of what’s happening in the North Atlantic — but clearly some important ones do, and they have published their conclusions in an influential journal. The longer the situation continues, the more it is likely to attract attention. But it has already been around for a while. “It’s been really persistent over the last year and a half or so,” NOAA’s Arndt says. Indeed, I spoke with Rahmstorf previously about the cold patch in the North Atlantic in March, when his study came out — and when a NOAA temperature chart for December 2014 through February 2015 also showed record cold in this area. Since then, the trend appears to have only continued. So in sum, if Mann and Rahmstorf are right, a slowing of Atlantic Ocean circulation could be beginning, and even leaving a temperature signature for all to see. This won’t lead to anything remotely like The Day After Tomorrow (which was indeed based — quite loosely — on precisely this climate scenario). But if the trend continues, there could be many consequences, including rising seas for the U.S. East Coast and, possibly, a difference in temperature overall in the North Atlantic and Europe. So on future climate maps, even as we rack up more hot months and years, we’d better watch the North Atlantic closely. of the underwater Colville Ridge, estimated to cover 100,000 square kilometres. Scientists have mapped in stunning detail a huge area of seafloor northeast of Auckland - equivalent to the size of Israel - and revealed more insights into New Zealand's vast and varied underwater backyard. 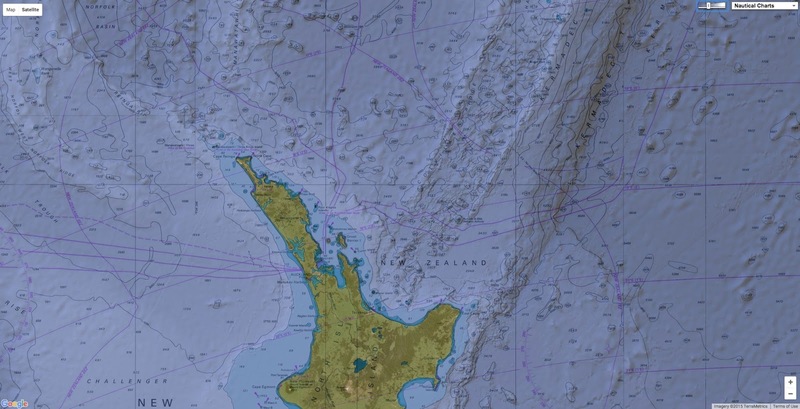 A three-week mapping mission around the Colville Ridge, estimated to cover 100,000 square kilometres and stretching from within 500km of Auckland, found that some seafloor rocks in the area had been hydrothermally altered. This meant hot fluids containing dissolved elements such as silica had once passed through them, and often these same fluids dissolved metals that ended up accumulating on the seafloor. The deep, rough seabed between the Colville and Kermadec ridges (north of New Zealand) is known as the Havre Trough. Here the seabed is slowly being pulled apart – the ridges are moving away from each other. The older Colville Ridge has extinct volcanoes, while the younger Kermadec Ridge has many active volcanoes. GNS Science scientist Dr Cornel de Ronde, who arrived back in Devonport today aboard NIWA research vessel Tangaroa, said this find indicated that parts of the submerged ridge could be prospective for metallic minerals such as copper and gold. "This find is a real bonus as our mission was to produce a detailed bathymetric map of the area, backed up by gravity and magnetic measurements." Dr de Ronde and his team used a combination of mapping techniques, including solar mapping and magnetism and gravity measurements, to build a detailed picture of the seafloor and its underlying structures. They were able to create a high-definition map with a resolution of 30m, which was 30 times better than a previous map of the area compiled from satellite data. The shallowest point was just 390m below the surface, while the deepest was 3,730m. "A dominant feature of the area we surveyed is a large mountain chain that when viewed from the northwest looks almost like an alligator snaking its way towards Auckland," he said. "We believe this survey will show that the Colville Ridge and Kermadec Ridge were once joined and they rifted apart at some unknown time in the past." The older Colville Ridge and neighbouring Kermadec Ridge - which stretch northeast from New Zealand toward Fiji and Tonga respectively - had formed as a result of subduction of the Pacific tectonic plate. Scientists now plan to review the gravity and magnetic data and analyse the rocks they recovered from the seafloor, which will tell them more about how and when the Colville Ridge formed and when the two ridges rifted apart. Dr de Ronde said it was amazing to think that so little was known about the Colville Ridge. "The southern end of this large geological feature lies within 500km of New Zealand's largest city, and yet prior to this mapping expedition and the one we completed in 2013, we knew almost nothing about it." There were four or five major ridge features in New Zealand's offshore territory and until now Colville was arguably the least known of them, he said. Together with geophysical data, the new maps would be valuable as a guide to future voyages, which were likely to focus on particular areas for more detailed investigations. The voyage was the latest in an ongoing Government-funded programme to survey regions within New Zealand's offshore territory considered prospective for seafloor minerals. When the 20,000 square metres of new mapping was combined with a similar survey of the southern part of the ridge in 2013, GNS Science could now boast having detailed 38,000 square kilometres of previously unmapped territory. Bathymetric map of all available multibeam data as of 2009 for the Southern Havre Trough, between the Colville and Kermadec Ridges and N of the New Zealand's North Island. In the colored version of this figure, the bathymetry key (in meters) ranges from red at the surface to purple at depths of 5 to 6 km. 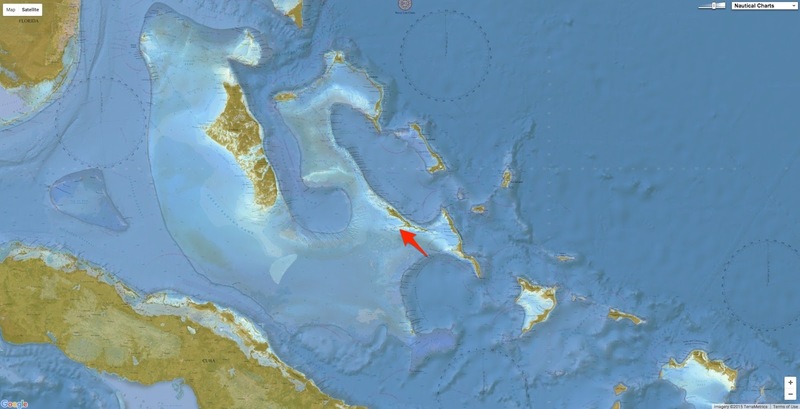 The location of Rumble III submarine volcano is highlighted. The inset indicates the tracks and areas of individual surveys whose data comprise the map. 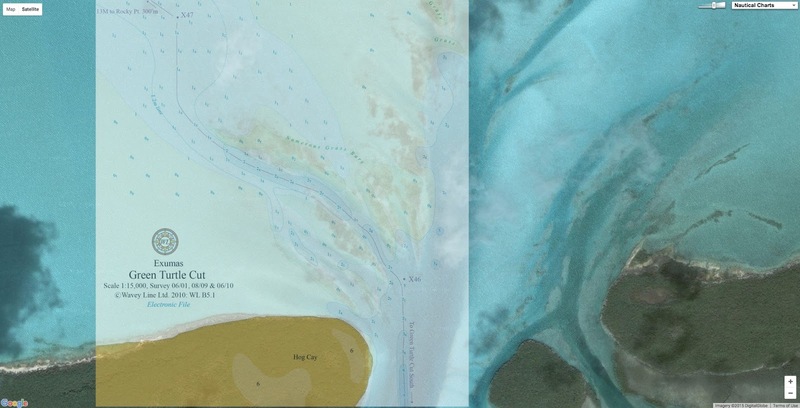 Areas that are not covered use satellite data configured to fit the edges of multibeam data set. Courtesy of Wysoczanski and others (2010). September 2013: NIWA scientists reported their findings of mapping the Cook Strait Canyon - the most prominent underwater feature of the strait. They discovered that even the ripples of that year's Seddon earthquake, which struck at a magnitude of 6.5 near one of the least stable parts of canyon, were well below the level of ground shaking needed to activate a submarine landslide. But the scarred canyon bore evidence of large landslides in the past, and about once in every hundred years, a landslide in the Cook Strait region would displace 50 million cubic metres of seabed. January 2014: A recent voyage mapping part of the Colville Ridge, northeast of Auckland, redefined the sprawling structure in stunning detail, with 3D imaging showing a mountainous ridge covered with jagged cones and valleys that lie about 2km below the top of its peaks. The new data also revealed the ridge was far from entirely volcanic in origin, which had surprised some scientists. April 2015: Scientists onboard the NIWA vessel Tangaroa find around 766 individual methane gas flares within an area of seabed off the coast of Gisborne, in a discovery described as a "major advance" for science and a first for New Zealand. This meant the scientific understanding of the life that inhabited the area of these gas seeps needed to be re-evaluated, and a new model formulated. Today: Scientists return from another mapping voyage around the Colville Ridge. The data they have collected suggests areas of the ridge my be prospective for metallic minerals such as copper and gold. 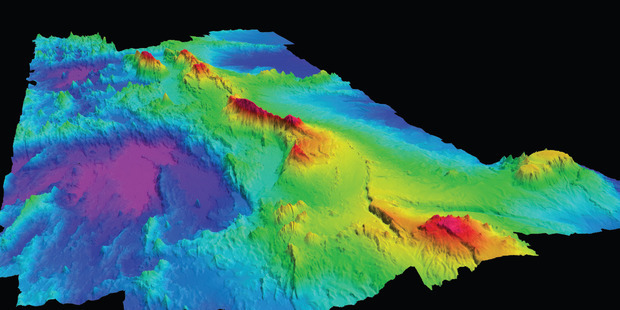 The survey may also prove to show the huge ridge was once joined with nearby Kermadec Ridge. Planned: Dr Cornel de Ronde of GNS Science and fellow researchers are keen to probe the underwater Brothers Volcano, 400km northeast of White Island, to understand how magmatic hydrothermal systems work within submarine volcanos. Three kilometres wide and with a highest peak 1.2km below sea level, Brothers is the most hydrothermally active of all the volcanoes along the Kermadec Arc - itself arguably the most active chain of submarine volcanoes in the world. By drilling into the volcano, scientists hope to unlock the secrets of its magma chamber, test computer models of its sea floor hydro-thermal plumbing, find out about the transport of precious metals inside the volcano, and assess diversity of microbial life within the volcano. On September 27th, 2015 there will be a very rare event in the night sky – a supermoon lunar eclipse. Watch this animated feature to learn more. This Sunday night moon observers have the chance to see a lunar triple treat, weather permitting. First, the moon will be full, as it always must be for a lunar eclipse to occur. This is a special full moon, because this is the Harvest Moon. Because the angle of the ecliptic —the path the moon and planets follow across the sky —is low to the horizon, the moon rises about the same time every night, giving farmers an extra supply of light when they most need it, at harvest time. Second, the full moon will be at its closest to Earth in all of 2015, what is known to astronomers as a "perigee moon." In recent years this has become known as a "supermoon." Perigee (meaning "closest to Earth") occurs at 10 p.m. EDT, the moon being a mere 222,374 miles (357,877 km) from Earth. In fact, the human eye can't detect the 5-percent difference in size between the moon at perigee and the moon at apogee (farthest from Earth), but everyone who looks at the moon Sunday night (Sept. 27) will swear it looks bigger than usual. Partly that is because, when seen low on the horizon, the human eye and brain combine to create an optical illusion known as the moon illusion, whereby the moon (and other objects) viewed close to the horizon seem larger than when seen overhead. Cover the moon with a dime at arm's length, and you'll see that there is no difference. Sunday’s lunar eclipse, seen as the moon enters the shadow’s umbra at 9:07 p.m. EDT. 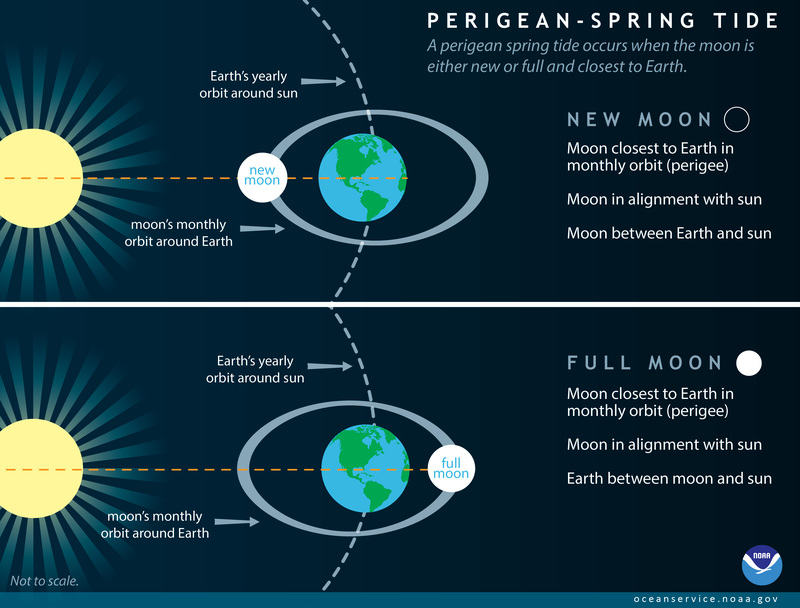 The only noticeable effect of a perigee moon is that the ocean tides will be a bit higher than usual for the day of the full moon and the next three days. The third, and most important part of this treat, is that we will have a total eclipse of the moon. At most full moons, the sun, Earth and moon line up approximately, but because of the tilt of the moon's orbit, the moon passes above or below the Earth's shadow, and avoids being eclipsed. At certain points in the moon's orbit, sun, Earth and moon line up exactly, and the Earth's shadow falls across the face of the moon, and we have a lunar eclipse. On September 28, 2015, a perigee and the full Moon occur on the same day. When this happens, stronger than normal tides will occur both a few days before and after. Perigean spring tides are often referred to as King Tides because the high waters along with seasonal weather effects have the potential to cause major flooding especially in low-lying areas. The moon's shadow has two parts: a darker inner part called the umbra, and a lighter outer part called the penumbra. This is because the sun is not a point source of light, so its light leaks around the edge of the Earth, and results in an unsharp shadow. In passing through the Earth's atmosphere, the light turns red or orange, so that the light that actually reaches the moon is tinted by thousands of sunsets and sunrises all around the periphery of the Earth. One result of these multiple sunrises and sunsets is that the moon during an eclipse is often tinted red, which is the origin of the idea of a lunar eclipse being a "Blood Moon." It isn't a far stretch of the human imagination to turn this Blood Moon into a portent of disaster. producing a lovely amber total lunar eclipse. A lot has been made in the media of this eclipse being the final event in a foursome of total eclipses known as a "lunar tetrad." There is nothing unusual about four lunar eclipses in two years, since we usually average at least two lunar eclipses every year, though not all are total. In fact, there was no tetrad of total eclipses at all, because the last lunar eclipse, on April 4, was not really a total eclipse. According to the usual way of calculating eclipses, the moon spent only 4.5 minutes in the umbral shadow, but recently this calculation method has been corrected, resulting in the April eclipse failing to be total at all. A total eclipse of the Harvest Moon, plus planets and the late-summer Milky Way. This Sunday's lunar eclipse is a true total eclipse, with the moon being in the umbra for a full 1 hour and 22 minutes. Observers in eastern and central regions of North America will get to see the whole eclipse; those farther west will see the moon rise already partially eclipsed. Observers in Europe and Africa will see the eclipse before dawn on Monday (Sept. 28). This brings up the question of dates and times, which often causes confusion. Even a usually reliable source like Canada's Weather Network got the date of this eclipse wrong. Officially, mid-eclipse occurs Sept. 28 at 02:47 Universal Time, which is the same as Greenwich Mean Time (but not British Summer Time). Subtracting 4 hours, this places mid-eclipse in the Eastern Daylight Time zone at 10:47 p.m. on Sept. 27; the date changes at midnight. So be sure you look for the eclipse on Sunday evening. If you wait until Monday evening, you will be a day late. Here are the important times in Eastern Daylight Time; if you're using CDT, MDT, or PDT, the times will be earlier by 1, 2 or 3 hours.